Indian Army has released Indian Army SSC Tech 53rd Men 24th Women Oct 2019 notification at joiindianarmy.nic.in on January 23, 2019. The application window of Indian Army SSC Tech 53rd Men 24th Women Oct 2019 also has been released today itself. The candidates of 20 to 27 from engineering background can apply for the same. The applications are invited from only Indian citizens until February 21, 2019. Through this recruitment total, 191 candidates will be selected from the different engineering streams. The selection of the candidates is purely merit-based for SSB later the SSB interview marks will be considered. Get here complete details of Indian Army SSC Tech 53rd Men 24th Women Oct 2019. 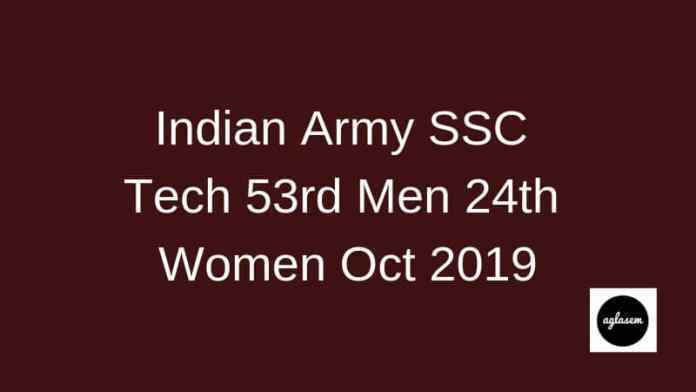 Latest: The Indian Army has released the notification and application for Indian Army SSC Tech 53rd Men, 24th Women Oct 2019. Click here to apply online. The course of SSC Tech 53rd Men 24th Women will commence in October 2019. The training will hold at Officers Training Academy (OTA), Chennai, Tamil Nadu. The interested candidates can check out all the important dates of SSC Tech 53rd Men 24th Woman. The application forms are accessible on the official website of Indian Army. All the eligible candidates can fill the form directly from the website www.joinindianarmy.nic.in. The application form has to be filled online except for widow candidates. They have to submit the offline application form. The deadline to submit the application form by a window candidates is provided in the schedule. Along with a hard copy of application form, such candidates have t provide some essential documents which are to certify the claims. All rest candidates have to go online and have to submit all essential documents in scanned copy. A total of 191 vacancies have been introduced, from the different engineering streams. For men, there are 175 vacancies and for women 14 vacancies. And one vacancy has been introduced in Windows SSC (W) Non-Tech, and 01 vacancies has been issued in Windows SSC (W) Tech. Nationality: A citizen of India is eligible to apply. Age Limit: The age of the candidate should be between 20 to 27 years as on 01 October 2019. Educational Qualification: B.E. / B.Tech (Appearing / completed). Physical Standards: Only those candidates can apply who meet the eligibility. 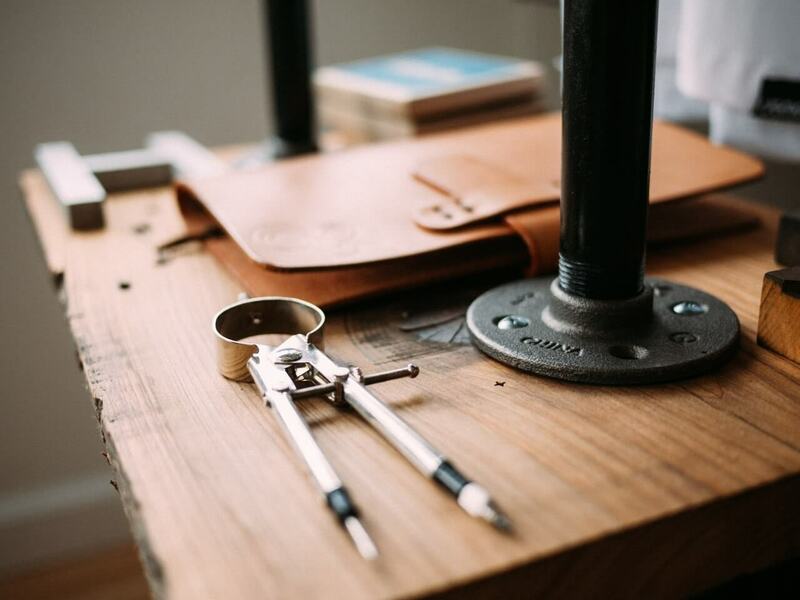 The candidates who are currently pursuing the course have to provide the certificate of Degree course within the 12 weeks from the commencement of training. To certify the age the candidates have to produce the Matriculation/Secondary School Examination Certificate. Certificate provided other than this will not be entertained. After completion of the application process, the applications will be scrutinized by the Indian Army. The list of the selected candidates will be released at the official website on Indian Army. The candidates who will fill the form will be able o check that list. The application forms of the candidates will be selected n the basis of their marks in each semester of their degree. Apart from this, the eligibility criteria will be checked during this process. The cut off marks will be decided on scrutinizing the forms. Later all the shortlisted candidates will be issued the call letter for SSB. After the selection of application forms from the candidates, the shortlisted candidates will then issued the e-call letter for the interview. The candidates will be able to simply download their call letters / admit card for an interview from joinindianarmy.gov.in. However, the call-up letter will be sent to the candidate’s registered email id. They have to carry the call letter at the time of interview. After the conduction of SSB, the final result will be declared on the official website of the army. The result will be declared at joinindianarmy.gov.in. The candidates will be able to check their name from the website and this page as well. The candidates who will be selected will be called for the training at the Officers Training Academy Chennai.